Part 3 continues with discussions of formats and a look at wrapped boats. 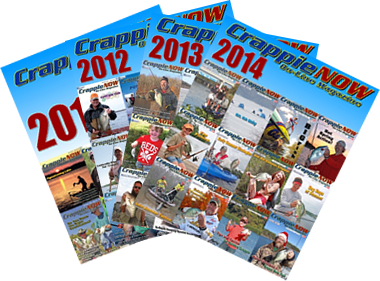 Our series experts include Darrell Van Vactor, General Manager of Crappie USA; Mike Vallentine, President and Owner of Crappie Masters; and Matt Morgan, Co-Owner of the American Crappie Trail. The series also includes quotes from tournament fishermen. The purpose of the series is to discuss national trails, inside information and the future of the sport. Whether you fish tournaments or not, these national trails and the fishermen who fish them have an impact on the boats, gear and baits that are available. Tournament fishermen have added volumes of fish-catching information that is used in everyday fishing. Darrell Van Vactor with Crappie USA says fishermen might go out and catch more fish on a jig than with minnows, but when restricted to artificial-only tournaments he complains. Most of the fishermen complain. However, he sees a future for these tournaments where a fisherman feels a tap and bump. Feeling the bite is fun. 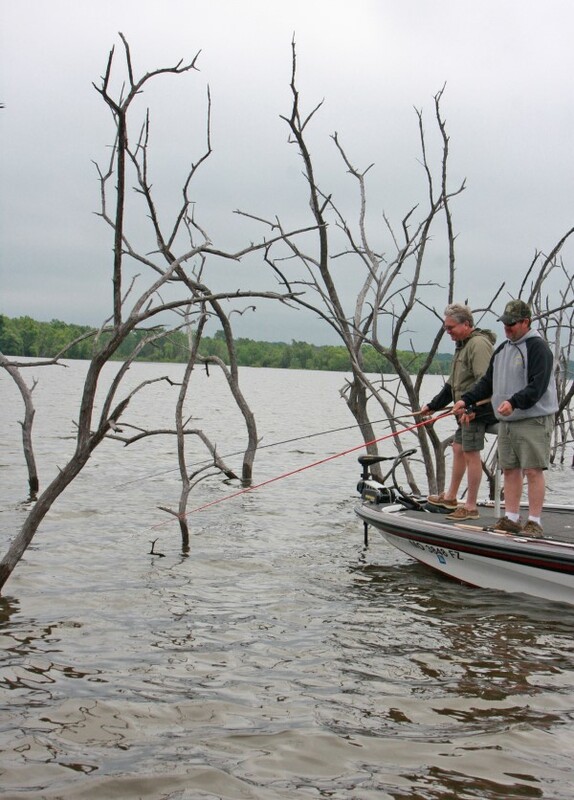 Crappie Master’s Mike Vallentine says one-pole fishing has been around forever. He believes it’s an art form that has faded because multipole fishing is so popular. The purpose of one-pole tournaments is to break up the monotony of every tournament being the same. Also, for Crappie Masters, they want the Angler Team of the Year to be capable of catching fish in different lakes in different ways. A one-pole tournament is a way of forcing the fishermen to be good at more than one technique. One-pole tournaments are a challenge, a change-of-pace to the common multipole format and gives those who enjoy jig fishing a chance to compete with other single-pole fishermen. 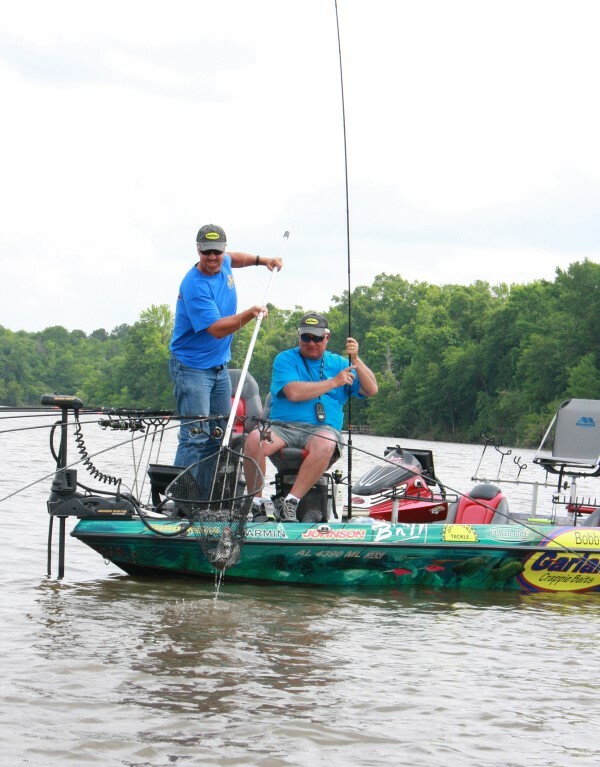 The Bobby Garland team of Garrett Steele and Dan Dannenmueller net a fish during a tournament. Dannenmueller says wrapped boats are a great way to gain attention giving the opportunity to promote a sponsor, the sport of crappie fishing, tournaments and the fisherman himself. 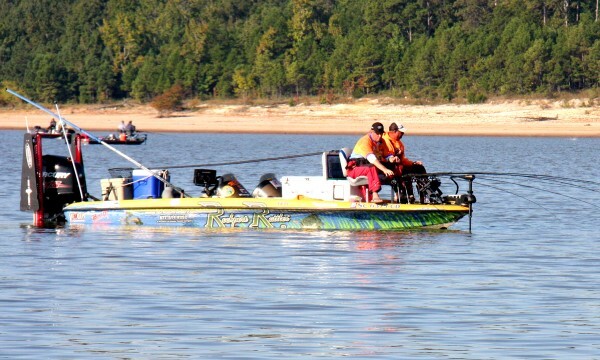 Wrapped boats can be considered as being as close to the professional side of crappie fishing as it gets. A fisherman or team with a wrapped boat has a sponsor who helps with expenses often including tournament fees, travel and products. team of Whitey Outlaw and Mike Parrott have a long list of tournament wins and a good list of sponsors including Rockport Rattler, BnM Poles, Vicious Fishing Line and others. 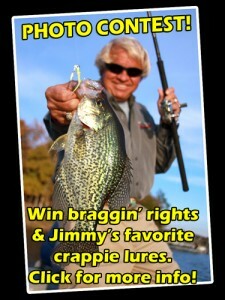 Crappie Masters President, Mike Vallentine, says, “Our wrapped boat program has grown. We are also seeing more wrapped boat teams who are not a part of our program. That means more people are getting help from sponsors allowing them to fish more tournaments and come to our events. One result of all this is seeing more glass boats, high-tech technologies, and the evolution or trend toward boats that are safer. He says wrapped boats are a positive. 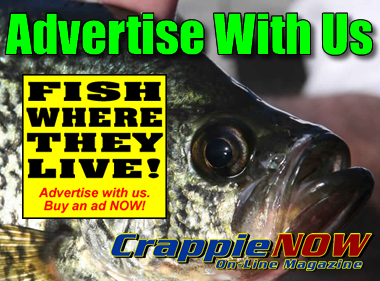 They bring more attention to the sport and it creates names people associate with crappie fishing, and the guy is on the road traveling so it brings exposure to the sponsor. Morgan says he hears that wrapped teams are bad because they scare off locals who believe they can’t compete. He says it’s not true but that can be the perception. Dannenmueller says, “For a fisherman there are big positives and negatives. On the negative side, visibility on the water, especially during a tournament, can be bad. Others watch, follow and often crowd. “I’ve also learned that whether it’s because of jealousy or because some people are just negative when someone has something they don’t, there will be criticism, comments and rumors. I don’t like that but it happens. What most people don’t realize is the time and energy requirements of a fisherman who has a wrapped boat. There are sponsor meetings, boat shows, seminars, working with media, speaking to people who come up and talk just because they see the wrapped boat and want to meet the fisherman or ask questions. At our first Florida tournament this year, we are already scheduled filming something for TV and doing two radio interviews, and we will probably have other work while we are there. It cuts into our time and makes it difficult to focus on prefishing and the tournament. But the bottom line is that the purpose of a wrapped boat is to promote sponsors so time and work is involved. 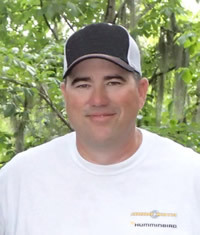 The Future of Crappie Tournaments continues next month with Part 4 including a personal profile on our last tournament circuit owner/manager, Matt Morgan. Topics to come include magazine, TV and social media; how local and regional clubs influence national tournament circuits; sportsmanship; polygraphs; care of fish including releasing; winning the Classic and Angler of the Year; the changing look of tournaments; and the future of crappie tournaments. Other occupations: Convenience store chain for 21 years; promoted mixed martial arts for 3.5 years. Rental houses. Currently the President and Owner of Crappie Masters. 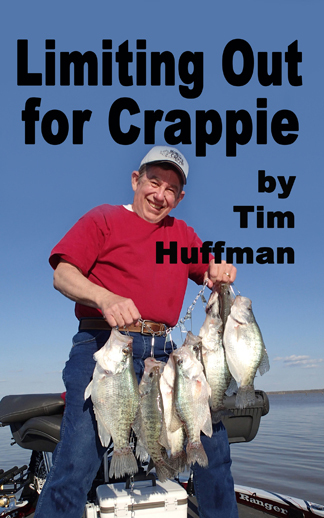 Fishing: “I didn’t win a Crappie Masters but have won several tournaments on Truman. Big crappie: 3.12 pounds on Truman. Favorite sports teams: “I’m loyal to KC Chiefs, Royals and Missouri Tigers.